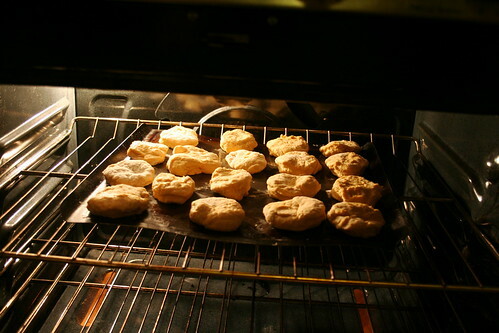 Biscuits are a staple in my house, and if I’m reading a novel written about the South, chances are I’ll be induced into making batch after batch after batch. 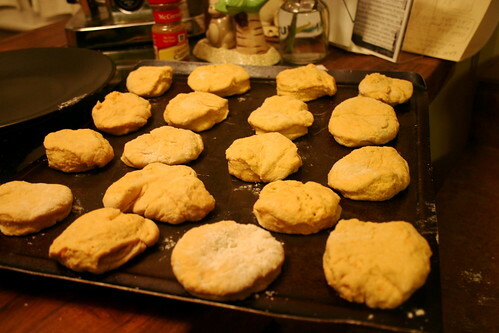 So why not biscuits for Thanksgiving? 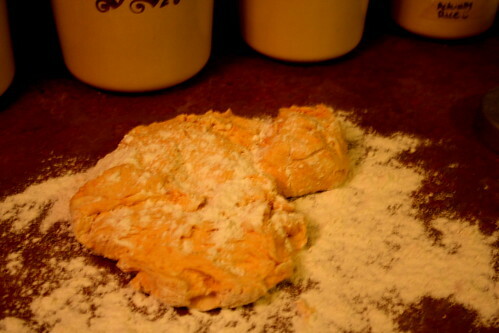 Practically every family has their favorite recipe, but how about one with a twist–Sweet Potato Yeast Biscuits. 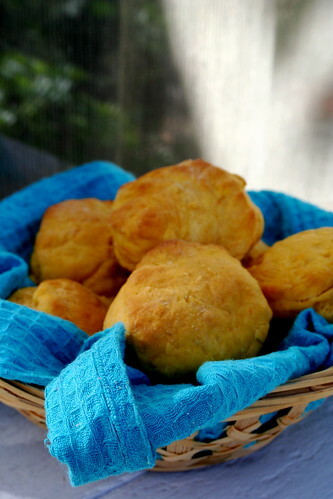 These biscuits are light and fluffy with a sweet and colorful addition of sweet potato. 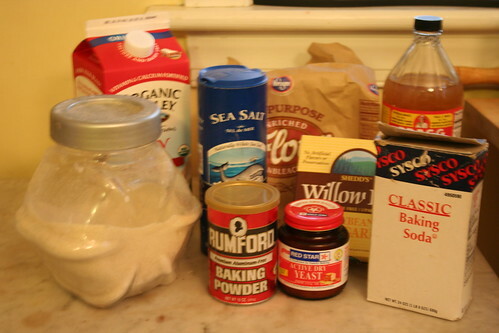 Easier to make than a yeast roll, I definitely recommend these for those short on time or energy. 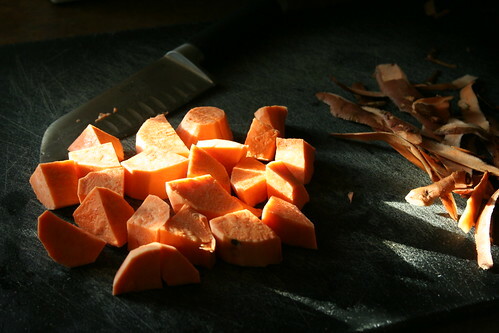 Peel and chop the sweet potato into ½ inch dice. 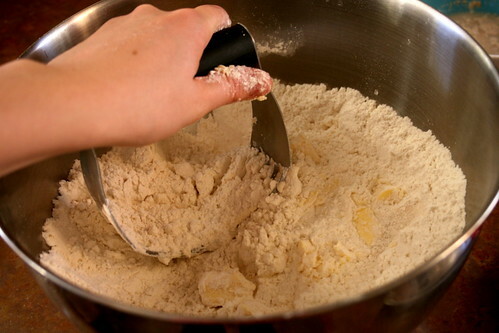 Place in water and cook until soft when poked with a fork. 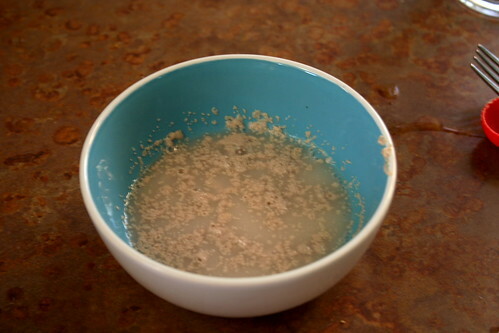 Meanwhile, dissolve yeast in warm water in a small bowl; let stand 5 minutes. 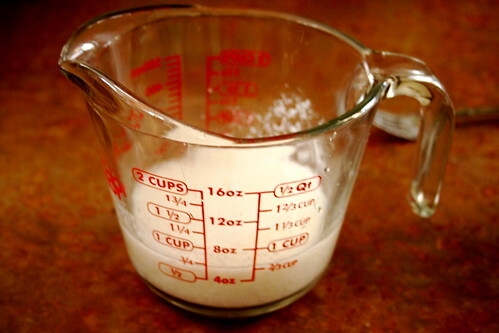 Combine the soy milk and apple cider vinegar to make vegan buttermilk. 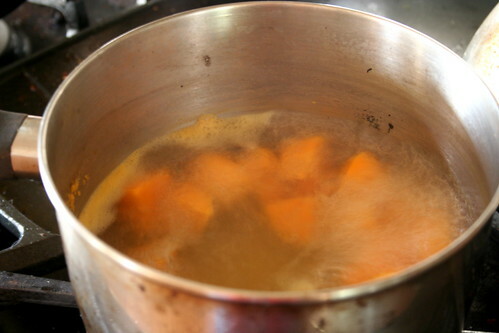 Once the sweet potatoes are tender, remove from heat and drain water. 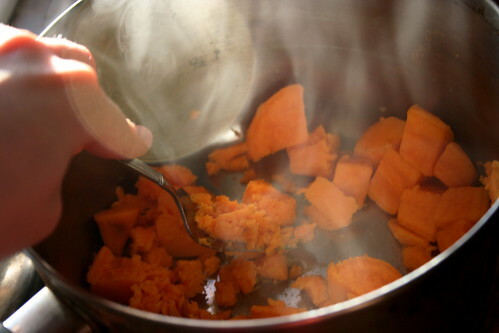 Mash with a fork to make a sweet potato puree. You want ¾ cup. 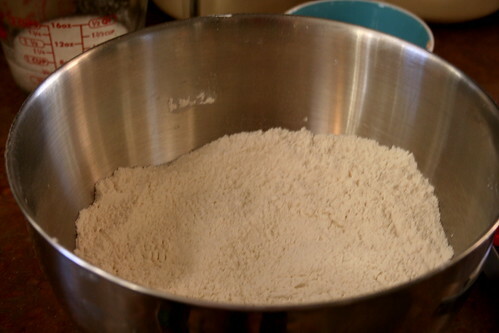 Combine the dry ingredients (flour through salt) in a large bowl. 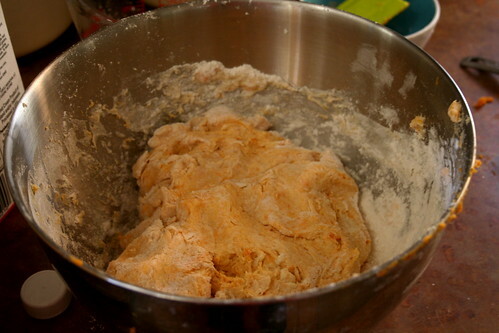 Cut in vegan margarine with a pastry blender until mixture resembles coarse meal. 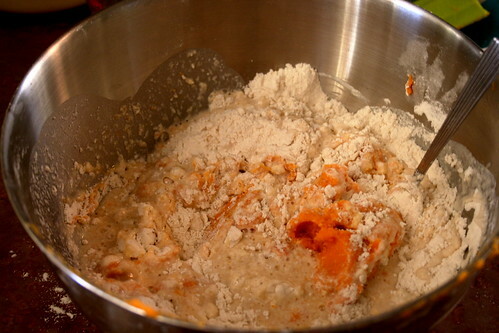 Add yeast mixture, sweet potato puree, and soy milk mixture. 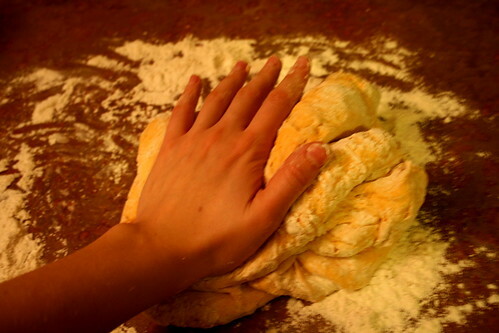 Turn dough out onto a heavily floured surface. 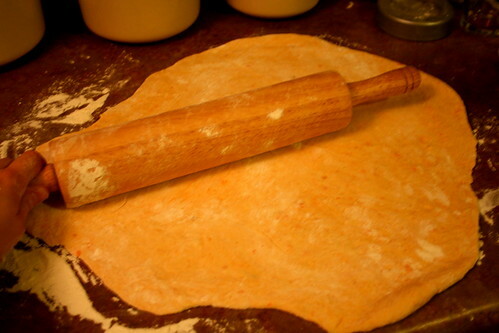 Roll dough to a 1/2-inch thickness. 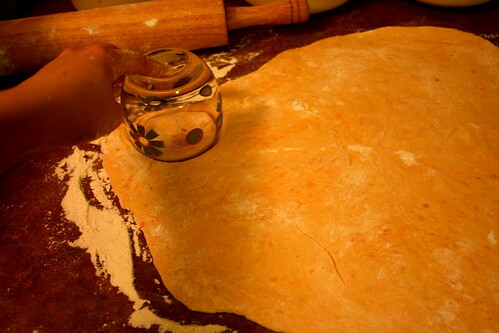 Cut with a 3-inch biscuit cutter or water glass. Place on a pre-oiled baking sheet. 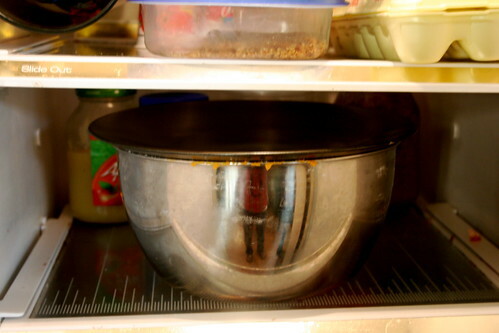 Bake at 450° for 12 minutes or until golden.